Environmental sustainability has always been a key focus area for Skipper. The Company has believed in putting in efforts towards improving the environment and spreading awareness about the same. On the occasion of Sh. 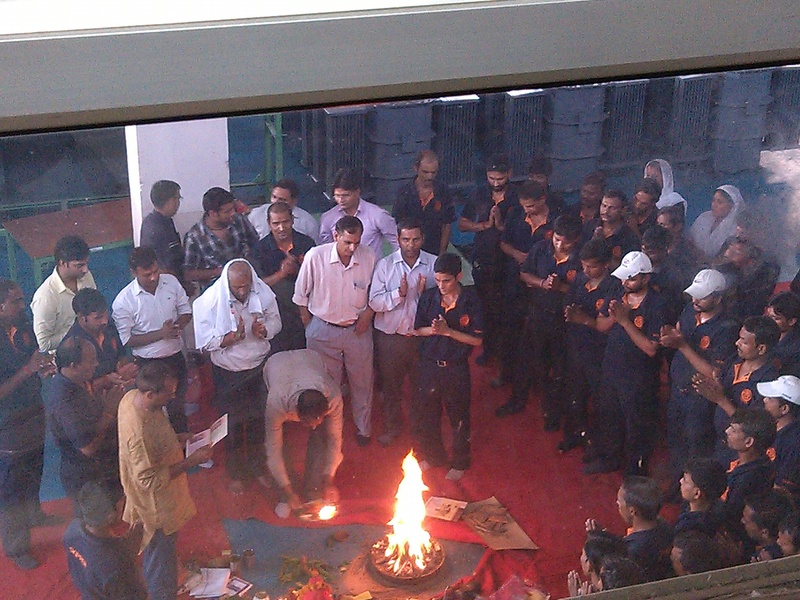 Vishwakarma Pooja, a day of celebration for the engineering community, Skipper India organized Pooja ceremonies at all three of its units in Bhiwadi as well as executed a plantation activity at its Unit-I(A) in Bhiwadi. As a token of contribution towards our responsibilities to make the Earth greener and cleaner, staff and workers from all Skipper Units participated enthusiastically in this environmental CSR initiative. A total of 40 Ashoka Trees were planted along the boundary wall of Unit-I(A). This activity also made Skipper complaint with ISO 14001, in order to implement an effective Environmental Management System and address various aspects of Environment Management. A special thanks to all participants for their presence and contribution to make this CSR activity a grand success. Skipper’s Unit-1 in Bhiwadi, India conducted an awareness training on EMS (Environmental Management system, popularly known as ISO 14001) and OHSMS (Occupational Health and safety management system, popularly known as ISO /OHSAS 18001) successfully conducted on 12th – 13th September, 2014.The training was imparted by Mr R S Mishra (External Consultant). A warm thank you to the senior management for providing this excellent training opportunity. SkipperSeil Group is The Global Leader in Power & Infrastructure, most admired for People. Performance. Partnerships. Copyright © 2014 Skipper t&d.